With the world’s population projected to reach 9.7 billion by 2050, food demand is expected to surge dramatically. A new generation of middle-class consumers are in the throes of upgrading their diets, including increased consumption of meat (which is grain-intensive). On top of that, declining arable land and salinity issues, alongside problems with water access and pest and disease problems, present considerable challenges to the modern agricultural community. Working to solve these kinds of challenges through finely honed tech is the crop of innovators operating in the ag-tech space — one that's seen increased attention over the past year. Ag-tech essentially refers to digital technologies made specifically for the agricultural industry that look to provide farmers with the tools, data and knowledge to make better informed and timely decisions to improve productivity, sustainability and profitability. 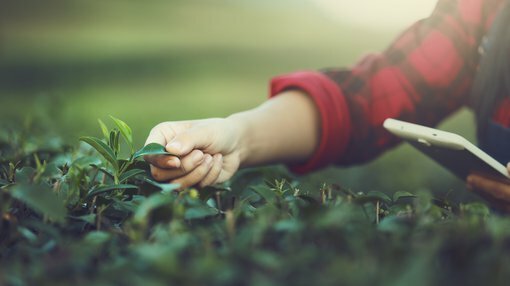 Through the disruptive forces of ag-tech, it is predicted that agriculture will turn into a $100 billion industry in Australia specifically by 2030, according to research commissioned last year by tech accelerator StartupAUS. This is also a fertile space for forward-focused investors. The global ag-tech opportunity could reach US$189 in the next five years, fuelled by US$1.5 billion in venture capital investment, according to StartupAUS. With this kind of growth in mind, a cluster of ag-tech companies have emerged over the last year or so, providing solutions for many of the challenges faced by the agricultural community, including food demand, declining arable land and salinity, access to water, and pest and disease issues. November 21 is National Agriculture Day — a good occasion as any to both celebrate both the farming community itself (one which has been facing particularly pressing challenges in Australia specifically, given the ongoing drought crisis) and to delve deeper into the thriving ag-tech space. Here are four ASX-listed companies that are planting seeds for ag-tech growth. Roots is an Israel-born ag-tech play whose two patent-protected technologies, Root Zone Temperature Optimisation (RZTO) and Irrigation by Condensation (IBC), are addressing critical problems faced by the agricultural community. ROO is creating disruptive, modular, cutting-edge technologies to solve major problems in modern agriculture, including water shortages, food production security, extreme weather conditions and global warming. 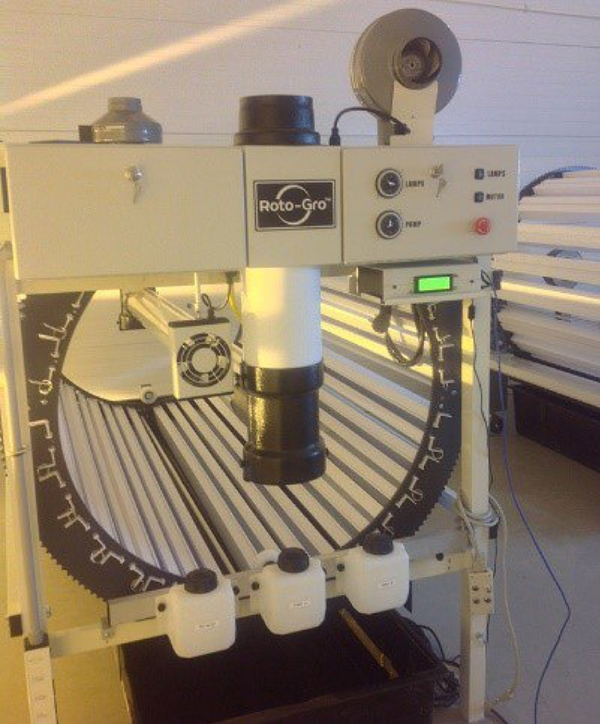 Its unique RZTO system heats or cools crop roots as needed, optimising plant physiology for increased growth, health, productivity and quality by stabilising the plant’s root zone temperature.. This technology also mitigates against the impact of daily and seasonal temperature changes, helping farmers grow crops more effectively throughout the year. So far, the RZTO cooling system has been effective in stabilising the plant roots of medical cannabis, chives and lettuce grown in the ground and in hydroponic greenhouses. Notably, RZTO is the only two-in-one, low energy, root zone heating and cooling system on the market — something that lends the $14.07 million-capped company a distinctive edge. ROO has had a busy year demonstrating its tech clout across different countries. It recently penned its first commercial order in South Korea, and secured the first sale of its RZTO technology in the blossoming medicinal marijuana market, following on from promising interim proof-of-concept cooling results on weed planted in greenhouses during July. Just last week, ROO also bolstered its IP by scoring an Australian patent for the ‘smart pipe’ component of RZTO. Dual-listed on both the ASX and the Frankfurt stock exchange, RotoGro is looking to redefine the future of agriculture through cannabis tech innovation. Its mission is to generate socially responsible, sustainable and profitable revenue by growing cannabis and perishable foods using cutting-edge technology solutions, while lessening the environmental impact of traditional farming. It’s focused on equity and licence ownership in the legalised cannabis space, and is carving out a leading role for itself in urban farming of perishable foods with its patented and patents-pending technologies and proprietary growing management software. RotoGro has created an automated rotary hydroponic vertical farming system for producing consistent quality plants indoors, replete with its own proprietary software, iGrow. Its fittingly named Model 420 System reduces the costs associated with conventional hydroponics including facility construction and maintenance costs; utility costs; atmospheric, water and nutrient costs; and pest/disease control costs. Recent tests revealed the RotoGro Hydroponic Garden System is capable of producing at least 60-80% more yield in the same amount of space as that of traditional flat deck style systems. RGI is specifically focusing on both the buzzing Canadian and US legalised pot markets — two major chunks of the global cannabis prize, which is expected to exceed US$60 billion by 2024. On this note, it recently took a major step forward, sealing a pivotal deal to buy a licensed Canadian cannabis processor. This gives RGI the legal ability to produce its own cannabis products in Canada’s newly legalised recreational cannabis market — especially intriguing given that key analysts are already flagging the potential for a huge supply gap now that weed is fully legal in Canada. Hailing from New Zealand, CropLogic blends science, agronomy and technology, and sells to large-scale irrigated crop growers, with regional offices now established in both Mildura, South Australia, and Idaho, with Oregon to follow. 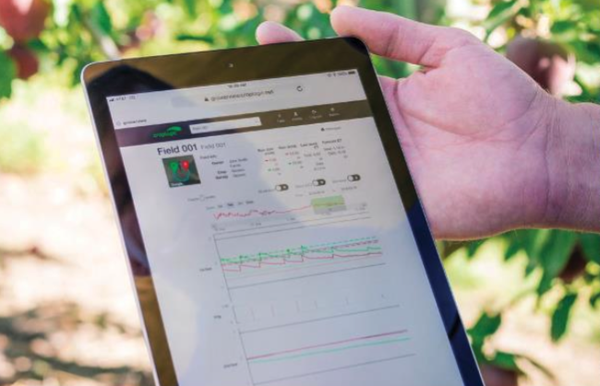 The $2.5 million micro-cap aims to help farmers improve crop yields by utilising its proprietary crop model technology with in-field agronomy support teams to provide further advice to growers. It combines 30 years of extensive research and testing with exclusive use of NZIPR crop model technology with in-field agronomy support teams to provide further advice to growers. Helping CLI along is a circle of high-impact research and collaboration partners, including Callaghan Innovation, Victoria State Government, College of Southern Idaho, SproutX, and powerhouse. CLI has also been busy demonstrating its agricultural chops. It received $1.5 million in revenue in the last quarter — on track for $2.2 million annually. 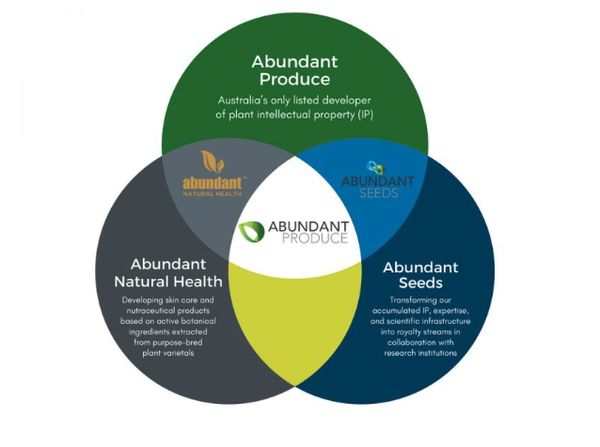 Abundant Produce is the only developer of plant IP on the ASX. It collaborates with major global research institutions, including the University of Sydney, UNSW and Pusan National University, and turns its scientific expertise into vegetable seed, skin care and nutraceutical revenue streams. This is strategic, given that the global seed market, estimated at US$68 billion in 2017, is expected to reach US$99 billion by 2022. The company is especially interested in addressing a large gap in that market — for seed that adapts to low-tech conditions, but still delivers on yield, flavour and size. The company has two interrelated brands: Abundant Seeds and Abundant Natural Health. Focused on the development and commercialisation of new varieties of high-value food crops, particularly greenhouse vegetables such as cucumbers and tomatoes, ABT aims to produce better varieties to gain a distinctive commercial and competitive advantage in a global landscape that will continue to be impacted by climate change. This company breeds plants and seeds for better yield, disease resistance, temperature, tolerance, taste, texture, colour and shape — all without artificial genetic modification. It focuses especially on developing plants which produce high yields of high-quality vegetables in challenging conditions, such as temperature extremes, poor soil quality and limited water availability.